Special days deserve an impressive homemade cheesecake dessert. Whether for a dinner party, special birthday or Valentine’s Day, this Cheesecake Filled Red Velvet Cake will make for a spectacular dessert! 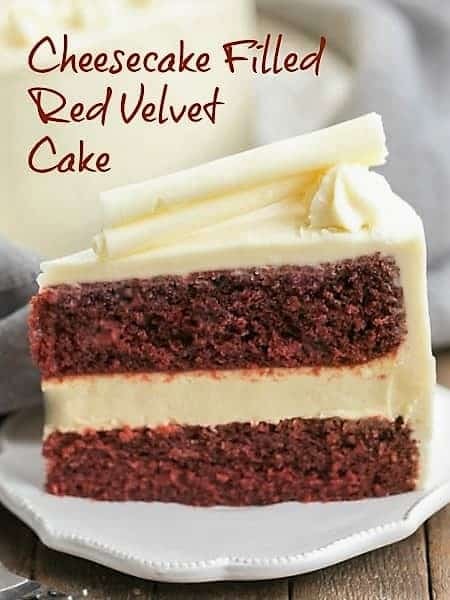 If you love cheesecake and red velvet cake, you can have both in every single bite! With Valentine’s Day approaching, it’s time to pull out all the stops. I love making a classic red velvet cake since the color is perfect for the holiday. 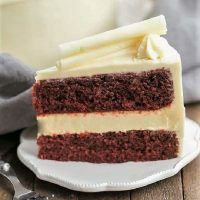 But in this delectable recipe, tender red velvet cake sandwiches an exquisite vanilla cheesecake, and then is iced with cream cheese frosting. 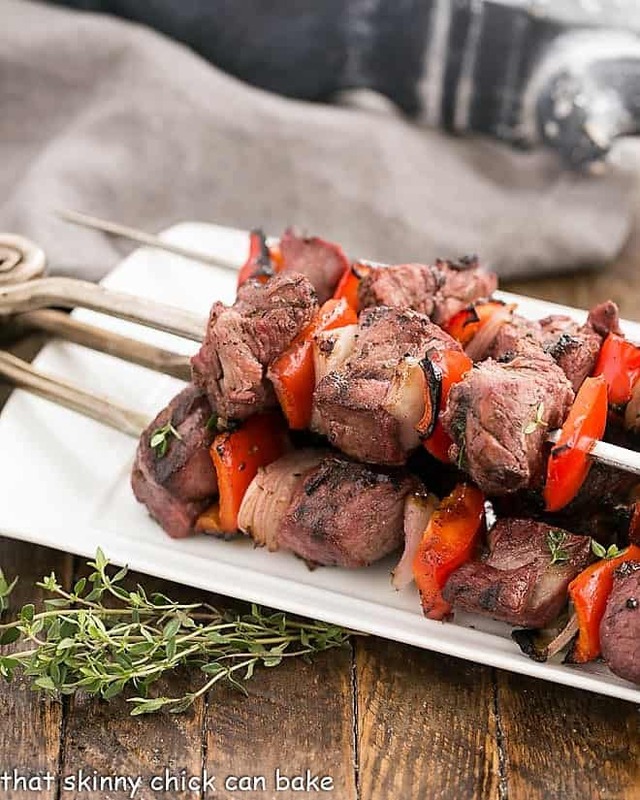 Lots of steps, lots of ingredients, lots of swooning when the forks meet the mouths. I took this gem of a cake to a dinner party and despite our full bellies, we all were able to finish a slice. 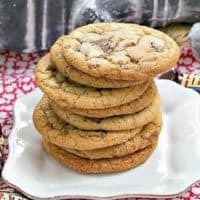 Can You Make This Dessert Ahead of Time? Yes! Both cheesecake and layer cakes freeze well. You can easily make both ahead of time, wrap well and keep in the freezer until you need to assemble. To defrost, place in the refrigerator overnight. The next day, frost as desired. It’s much less daunting if you don’t dirty up every bowl and measuring cup in your kitchen in one afternoon! I just know you’ll love this cheesecake filled red velvet cake. Note that Danielle’s recipe below has you freeze each component. You can definitely assemble after you bake, but I’d recommend chilling the cheesecake overnight to let it firm up. 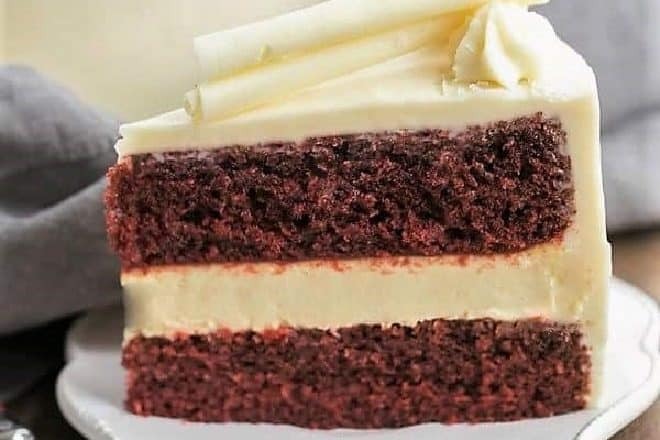 Since you can freeze both the cheesecake layer and the red velvet layers, you can easily make this in steps and finish assembly on the day or the day before serving. When you make the components, have all your refrigerated items at room temperature. This is especially necessary for the eggs and cream cheese for the cheesecake. To make a cheesecake with the best texture, use a stand mixer with the paddle attachment. 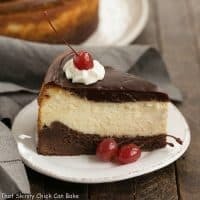 The whisk adds extra air into the batter and the resulting cheesecake won’t be as dense and creamy. But if you don’t have a stand mixer you can still make this delicious dessert. With the cheesecake, mix in the eggs one at a time, waiting until the last is incorporated before adding the next. I usually recommend baking a cheesecake in a water bath, or bain marie, to prevent cracking. Since this cheesecake will be covered by a red velvet layer, it’s not necessary. You can decorate the top of the cake or just leave it with a smooth layer of frosting. I piped stars and made chocolate curls with white chocolate. You could easily shave a white chocolate bar with a vegetable peeler and top slices with the smaller curls/shavings as you serve the cake. 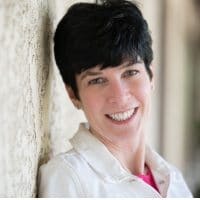 Stop by her blog to see Danielle’s take on her Red Velvet Cake and Cheesecake with Cream Cheese Frosting as well as her social media sites! Make sure to check out which of my recipes she made this month, too. If you love caramel desserts, don’t miss this Caramel Cheesecake. This White Chocolate Raspberry Swirl Cheesecake is another dreamy cheesecake or if you want an easier recipe, try these Red Velvet Cheesecake Swirl Brownies. 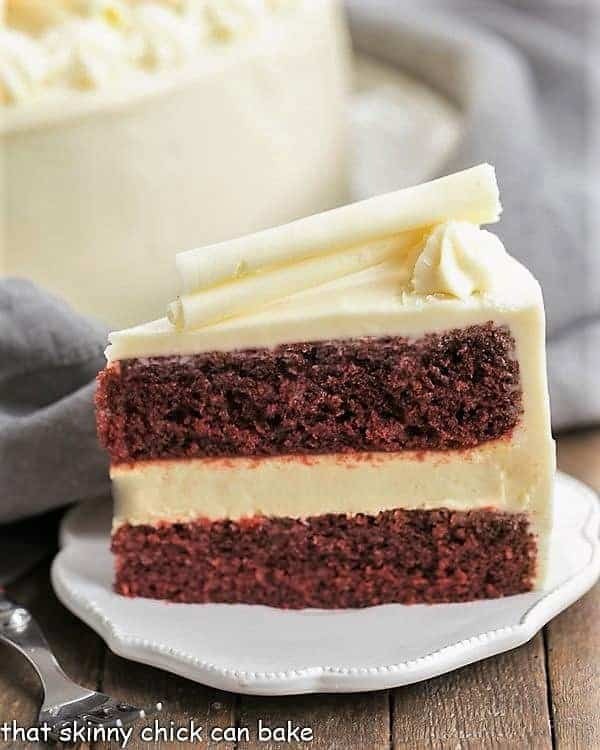 A glorious combination of the classic red velvet cake, vanilla cheesecake and cream cheese frosting! To make cheesecake, preheat oven to 325 degrees F.
Spray 9-inch springform with nonstick cooking spray and line with parchment circle. Set aside. 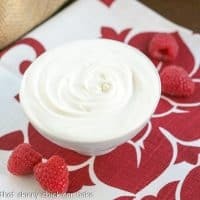 Using the paddle attachment of your stand mixer, beat cream cheese smooth. Add sugar and salt and mix until combined. Add eggs, one at a time, scraping down the sides as needed. Add sour cream, cream and vanilla and mix until smooth. To make cake, preheat oven to 350 degrees. Grease/flour 2 9-inch cake pans (I use Baker’s Joy spray). In mixer, whisk flour, sugar, cocoa powder, baking soda and salt. Add eggs, oil, buttermilk, food coloring, vanilla and vinegar. Beat until smooth and pour into 2 pans. Bake about 30 minutes or until a toothpick inserted into middle of cakes comes out clean. To make frosting, beat powdered sugar, cream cheese, butter and vanilla until smooth. Place one cake layer on cake stand, top with cheesecake (remove parchment) and top with next cake. Spread thin layer of frosting all over the cake (a crumb coat) and chill for 30 minutes. Frost the rest of the cake. 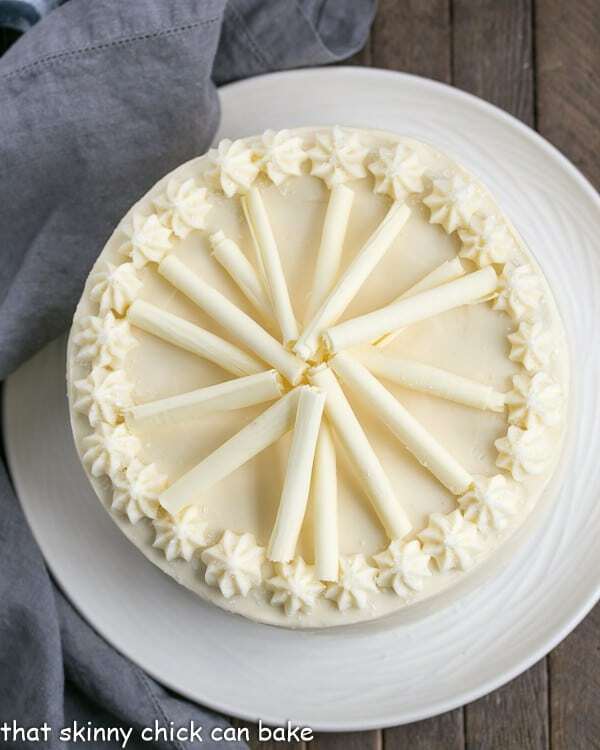 Use any leftover frosting to pipe roses or stars around the perimeter of the cake. 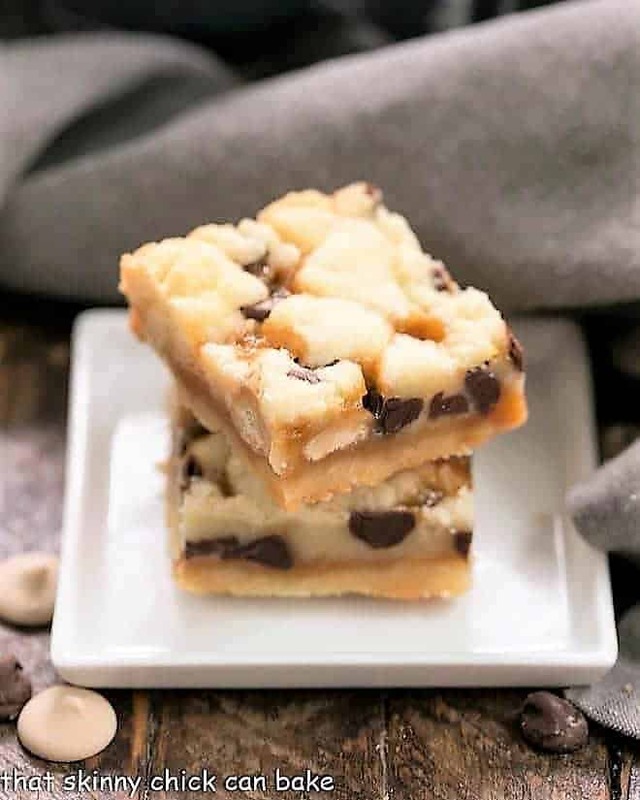 Melt Ghirardelli white chocolate and shortening in microwave gently. 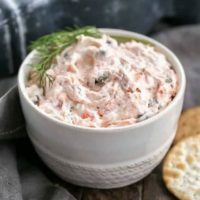 Spread thinly on cookie sheet. Chill until set and push with spatula to form curls. If they break, let chocolate soften a few moments. Recipe adapted from Recipe Girl via Hugs and Cookies XOXO. These directions are to make the cake and/or the cheesecake ahead of time. Just wrap well in plastic wrap and a layer of foil when cool (keep the cheesecake in the pan). Freeze until needed. Defrost in the refrigerator overnight. *You can also assemble after baking the components. I’d recommend letting the cheesecake chill overnight to allow it to firm up before proceeding with the recipe. Perfect treat! Thank you and have a pleasant week ! I wish I could have a slice right now!!! Liz it is STUNNING! and those currrrrrls!!!!!!!!! That’s a calorie bomb, but I am going to risk it! It looks magnificent, Liz. Special days indeed deserve an impressive dessert. And this beautiful cheesecake filled red velvet cake would make a perfect Valentine’s Day, dessert! Stunner. Hi Liz, I certainly would of made room for a slice of this too. So brilliantly put together a real showstopper!! This cake is truly fantasy, Liz. This could be a nice surprise for Valentine’s Day! What a show-stopping cake, Liz! 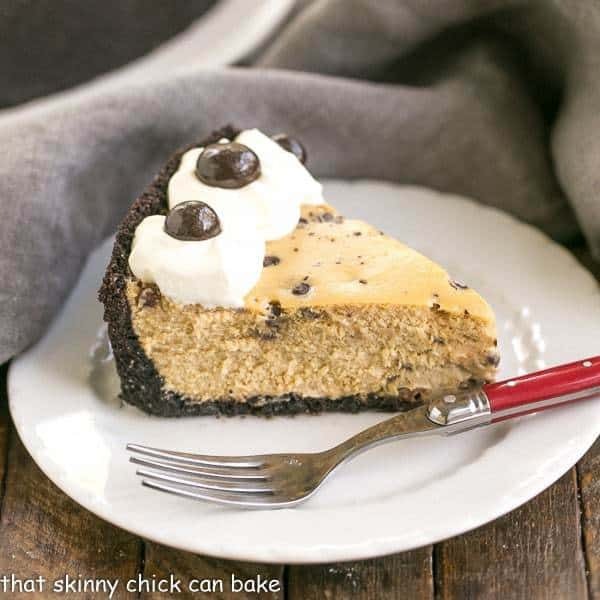 The surprise cheesecake filling puts this over the top in the best way! Wow – that is awesome!!!! And, it just looks beautiful Liz. Liz, you truly are the master of the beautiful cut! That cakes looks wonderful and the combination of red velvet and cheesecake are a dream! What a perfectly decadent dessert for Valentine’s Day. WOW!!!! This looks amazing! Who needs cream cheese frosting when you can have cheesecake! This combines everything I love in one gorgeous dessert. I can’t tell you how much I looove this and neeeed this! Cheesecake in the center of cake! Wow…decadent and yummy! This looks gorgeous and absolutely delicious! I lovelovelove cheesecake so a red velvet cake with cheesecake sounds like heaven. I love those white chocolate curls, too! What sweet decadence! This cake is truly a showstopper. This is beyond gorgeous, Liz! This is just stunning, Liz. Red velvet with cream cheese icing is my hands down favorite!!! If you’re going to indulge you might as well go all out. Your decorations are beautiful! I made this tonight for a birthday cake. Wow! It was very delicious and very yummy. My kids and my family loved it. Thanks for sharing good cake recipe. I’m so glad! It’s one of my daughter’s favorite cakes!! I was so excited to find my two favorites together and I was nervous this would be hard to make. Not only did it come out delicious but it was easy enough for me to make it! I am in love! It doesn’t get any better than this! The best dessert! Perfection, I could eat the entire thing myself! This is really gorgeous! Perfect dessert for Valentine’s Day! This is soooo decadent! 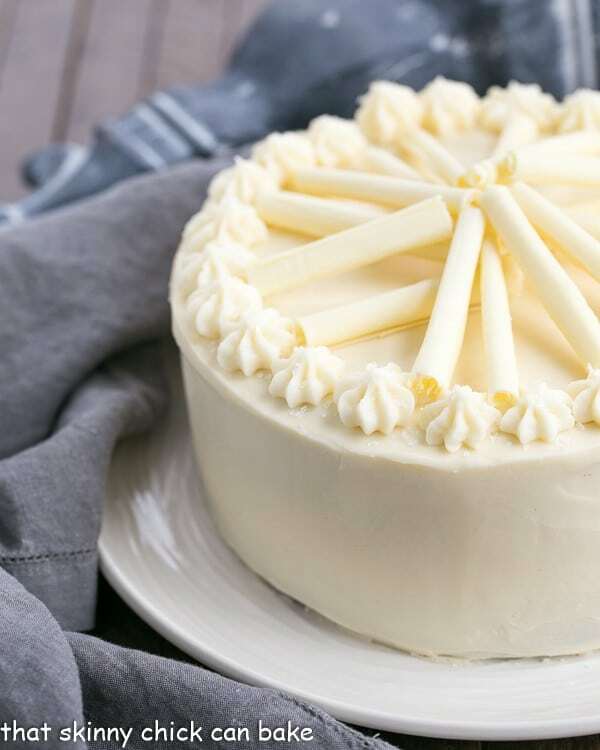 Even better than just cream cheese frosting!